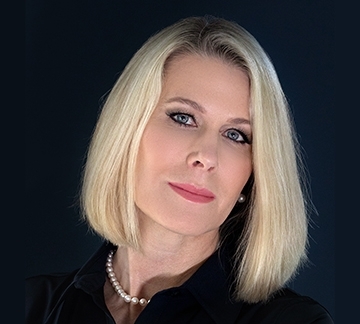 Dr. Shawna Flanagan is a Board Certified Dermatologist, as well as an accomplished Mohs surgeon, known for the quality of her cosmetic dermatology skills, the depth of her knowledge and her caring and compassionate attitude. Her education includes the University of Missouri-Kansas City Six Year Medical Program, Internship and Residency at New York University Medical Center, National Institutes of Health Post-Doctoral Research Fellowship: Department of Dermatology, New York University Medical Center and Laboratory of Irwin M. Freedberg, MD and Miroslav Blumenberg, Ph.D. 1992-1993, Residency in Dermatology at the University of Miami School of Medicine: Department of Dermatology and Cutaneous Surgery, Assistant Clinical Professor of Dermatology and Dermatologic Surgery, University of Miami and Department of Dermatology and Cutaneous Surgery. Dr. Flanagan opened her private practice in October 1998 in Jupiter, FL. Board certifications include the American Board of Internal Medicine and the Fellow American Academy of Dermatology. She received a surgical award during residency at the University of Miami in1996. Dr. Flanagan holds memberships in the American Academy of Dermatology, Fellow, Women’s Dermatologic Surgery, the Florida Society of Dermatologic Surgery, the American Society for MOHS Surgery and the American Society for Laser Medicine and Surgery, Inc.
Married to Dr. Amir Lubarsky, Internist/Physican, Dr. Flanagan and her husband have two children, Ben and Julia. Her favorite hobbies are kids activities, traveling, gourmet food and wine, and exercising and yoga to stay healthy!